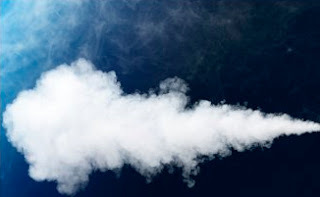 Designers and manufacturers of industrial boilers are focused on meeting regulatory and safety requirements when developing highly efficient burner management systems (BMS). BMS are responsible for startup, operation and shutdown of a burner boiler systems. BMS monitor temperature, pressure and flow and employs safety shutoffs to shut down the burner boiler if an unsafe condition occurs. The following white paper describes safety standards for boilers and burners relating to pressure switches and controls. 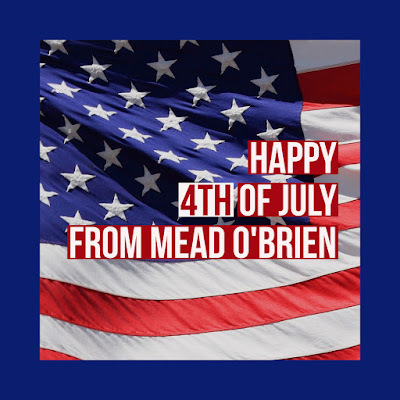 Read the embedded document below, or you can download your own PDF copy of "Industrial Boiler and Burner Limit Control Switches" from the Mead O'Brien website here. Industrial Boiler and Burner Limit Control Switches from Mead O'Brien, Inc. This video below provides instruction on setting the Schneider Electric / Foxboro Model IMT30A. The electromagnetic signal converter IMT30A is a used for measuring volumetric flow in various kinds of applications that can be found in the water industry and food and beverage processing. 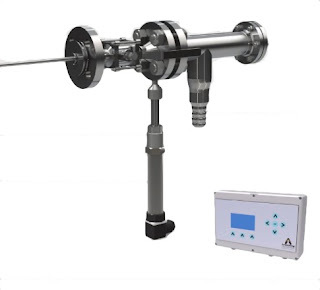 The IMT30A can be used together with Foxboro flow sensors 8400A, 8500A, 9500A, 9600A and 9700A with outputs representing measured values for flow, mass and conductivity. 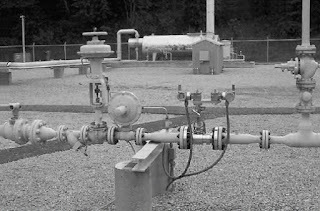 Limitorque Fluid Power Systems (LFPS) is the Flowserve Limitorque division that builds fluid power actuators, specifically pneumatic, gas, and hydraulic scotch yoke design cylinder valve actuators. These are used on larger, higher torque requirement valves primarily applied in the oil and gas industries. The Limitorque LDG direct gas actuator is designed to operate on high pressure pneumatic supply, including pipeline gases, nitrogen and any other equivalent high pressure source. Based on Limitorque’s high efficiency scotch-yoke modules, the self-contained system includes both the gas powered actuation unit and the high pressure gas control circuit. This makes it a robust and efficient way of providing reliable pipeline valve automation, even when no external motive power supplies are present. 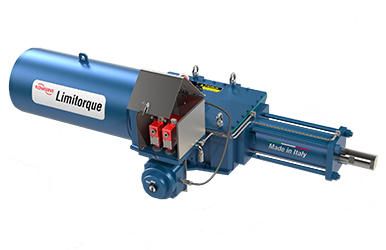 Limitorque’s advanced design criteria together with the full pressure rated controls allow higher torque output within a smaller dimensional envelope, thus reducing gas use and exhaust, and limiting pipeline product waste and environmental impact. 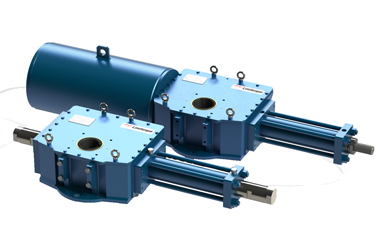 LHS and LHH are Limitorque’s range of hydraulic, quarter-turn, scotch yoke actuators. Designed to meet or exceed the most current and stringent safety and reliability standards for application in the oil and gas industry LHS and LHH are suitable for on/off and modulating control of all quarter-turn valves. 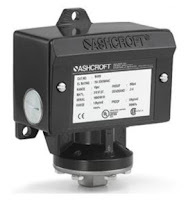 Limitorque scotch yoke actuators deliver reliable torque ranges up to 300 kNm (221 268 ft-lb) in a low displacement, compact dimensional envelope with a maximum allowable working pressure (MAWP) of 207 barg (3000 psig) for the LHS series and 345 barg (5000 psig) for the LHH series. Limitorque’s LPS and LPC are pneumatic quarter turn scotch yoke actuators, featuring a robust design suitable for heavy duty services, and among the longest design lifespans and maintenance intervals in the industry. 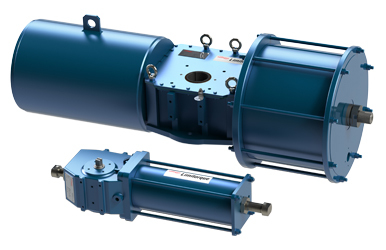 Limitorque’s high torque LPS (up to 500000 Nm / 369,000 ft-lbs) and compact LPC (up to 5500 Nm / 4056 ft-lb) are the actuators of choice for effective on/off, modulating and control applications of quarter-turn valves in all general and protective services, in the most severe environments. control products and severe service specialty valve products. Below is their comprehensive Flow Control Solutions catalog. You may review the embedded document, or download a PDF version of the Neles Flow Control Solutions here. 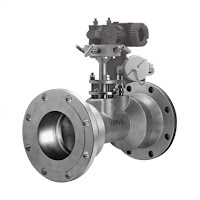 Metso Neles Flow Control Solutions: Valves, Actuation, and Automation from Mead O'Brien, Inc.